As if the Upside Down wasn't a terrifying maze in itself, someone has created one in our world. 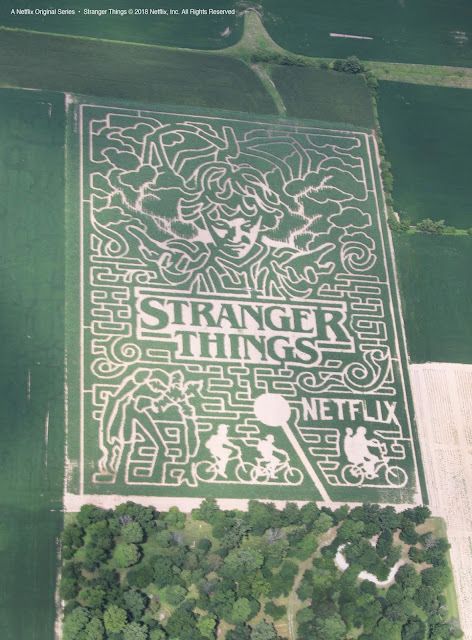 A colossal maze inspired by Netflix's "Stranger Thing"s has been unveiled in Lafayette, Indiana, (fitting, considering the show takes place in a fictional Indiana town) and it's not corney it's A-MAZE-ING!!! 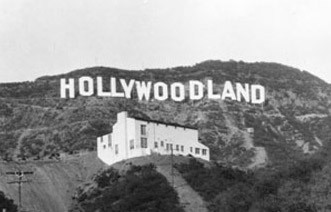 (these puns practically write themseleves folks). 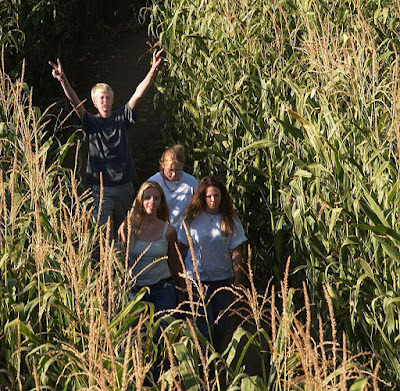 The 20-acre maze (that's equivalent to 15 football fields) will be open from Sept. 14 to Oct. 28.
seeds into the precise design we imagined," says Tim Fitzgerald, president and CEO of Exploration Acres. 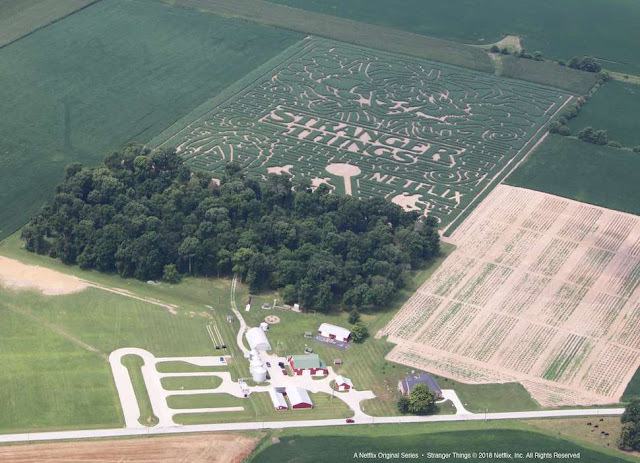 If only I knew where Indianna was...I would be heading over there myself to check it out. For those that want to go...click HERE to purchase tickets. 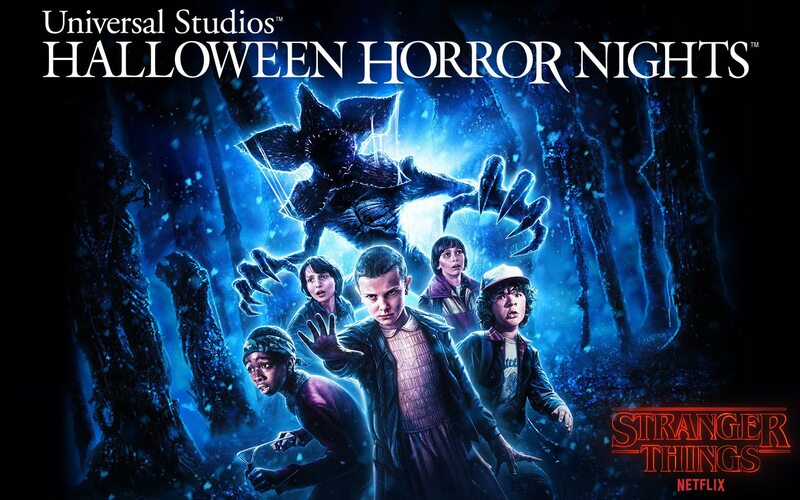 In other "Stranger Things" Maze news....Netflix has also teamed up with Universal Studios to bring an indoor maze inspired by the sci-fi horror show "Stranger Things" to stalk unwitting guests as they encounter iconic scenes, characters and environments from the mesmerizing series to three of its parks for this fall's "Halloween Horror Nights." 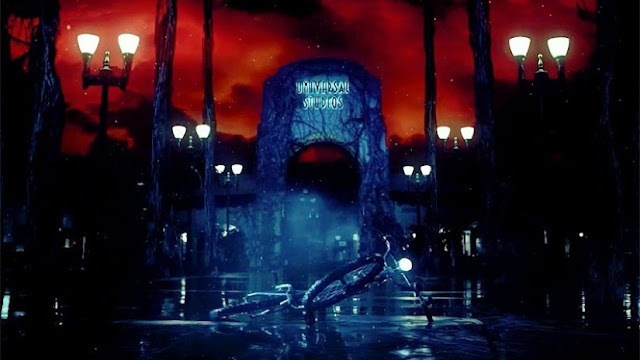 The temporary walk-through attraction will be set in a parallel universe called Upside Down, which fans of the show know was created by the Hawkins National Laboratory in the fictional town of Hawkins, Indiana. The maze debuts September 14 at Universal Studios Hollywood and Universal Orlando Resort for Halloween Horror Nights. But if you're on the other side of the world, you can also catch it at Universal Studios Singapore starting Thursday, September 27. 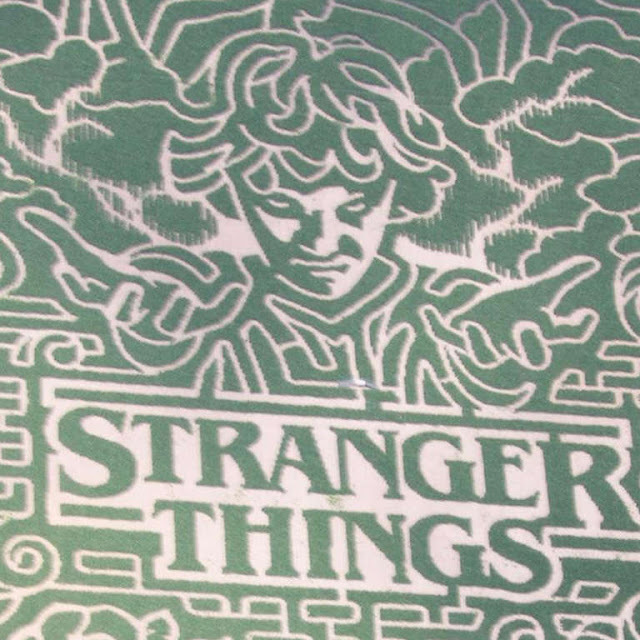 Click HERE for a sneak peak. 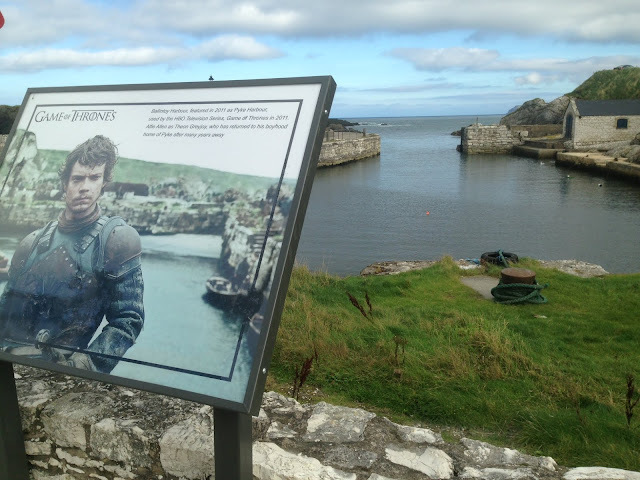 All of this dedication to a TV series really brings us such joy. That is why we ❤️it.